A long time ago, when Windows 98 was in existence and mobile phones could go a whole week without needing a recharge, Roland Coombes was working as a Recruitment Consultant for Reed PLC. The life of a recruiter is challenging; managing both client relationships and candidate relationships and finding the best possible staff. However, frustrations would arise when a client rejected a candidate’s CV/resume even though they had the experience. Then came that light bulb moment…. Rather than always using a candidate’s own CV (which is fairly typical practice in the recruitment industry), let’s rewrite the candidate’s own CV/Resume and present a targeted version that’s specifically related to the vacancy in hand. And what a return on investment! From an average of 2-3 CV/resumes being selected for shortlist, this number grew to 4-6 (the entire shortlist presented, i.e. a 100% result). 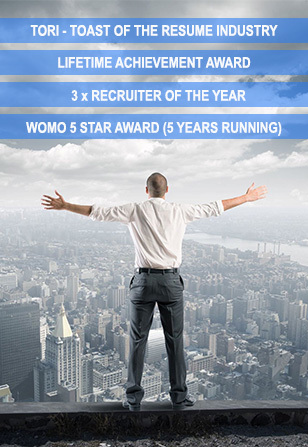 Such was his success, Roland was soon awarded ‘Recruiter of the Year’ by Reed PLC, placing him #1 out of 3,500+ consultants. Roland received the award not just for one year, but for three consecutive years (unheard of)! 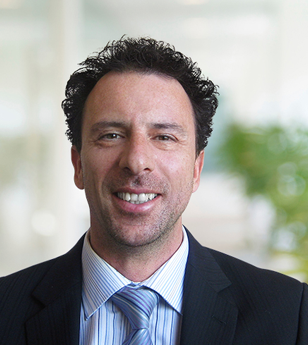 Roland then moved to Australia and introduced the same CV/resume writing model in Adecco Finance. Once again, he achieved incredible success and was awarded “Recruiter of the Year” and “Business Manager of the Year”. .
With more and more clients specifically asking to work with Roland, a new business was born; ‘itouch professional solutions’, a business that focused solely on providing a dedicated CV/Resume Writing service. Within just a short period, itouch was recognised both in Australia and internationally, , winning many Resume Writer Awards including the TORI Award and being invited to sit on the CDI International Committee. We went on to win many more industry awards and estimate upwards of 7,500 clients have since found work through the itouch business model. We are incredibly proud of this achievement. Itouch is one of the most awarded businesses in the CV & Resume Writing Services space. Our awards include 'TORI Awards' (International Resume and CV Writing Excellence) and 'Recruiter of the Year Awards' (general and search/executive levels) in Australia, US and the UK. We were voted the “CEO CV Writer” Awards, and the CV Magazine “Expert Resume Writers” awards. From a service perspective, we received the WOMO 5 Star Award (6 years running), Google 5 Star Awards, TrueLocal 5 Star Awards, and many other industry benchmarks. Our own surveys recorded 96.8% of clients registering “exceptional” and will re-book only us. Since conception, we have always believed if successful we would be committed to put back into the community some of the financial success we have been fortunate to have earned. Over the past few years, itouch Professional Resumes has contributed significantly to a number of very valuable causes. This year is no different, with schemes now set up to direct our “Profits for Success” campaign to help donate to The Smith Family and UNHCR. Please find out more about our “every little (word missing here?) counts” contribution policy which sees a percentage of our profits from CV and resume writing going to needed charities. All our resume writers are hand picked based on their industry excellence and their ability to add real value to the industry and to our clients. From time to time, we do take on new consultants and would be keen to here from other like minded specialists. If you have what it takes, please contact us. Are you considering a career as a resume writer?